We really love our fresh zucchini. It always feels like you either don’t have any or so much that you don’t know what to do with it! As soon as you think you have picked the last one for the day you find a HUGE monster one! Talk about feast or famine. I don’t know about you but we can only eat so much zucchini. But our favorite thing to do with zucchini is to bake with it. We love zucchini bread, muffins and whoopie pies, yum! If you haven’t tried them, you must! But we don’t like to bake that much in the summertime because we have so many other things that need to be done and it heats up the house. Baking is something we enjoy doing in the fall-winter and spring. That’s the time of year when you are dreaming about that beautiful garden you wish you had. 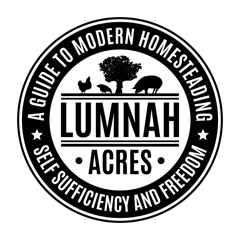 What is a Modern Steader to do? We eat the smaller zucchinis and freeze all the big monsters ones that we never saw and bake with them throughout the rest of the year! How do you do that you ask? 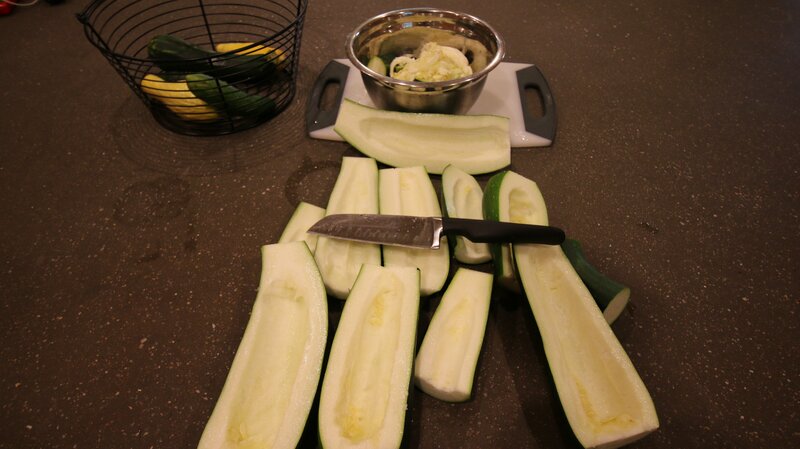 We like to slice the larger zucchinis down the middle and scoop out all of the seeds! You better not dare throw away the seeds. Grab your chicken bowl and save all the yummy insides for them. If you don’t have a chicken or two you could save it for your neighbor’s chickens. That way nothing goes to waste and the chickens will turn it into fresh eggs. How awesome is that? Once we have that part done, we cut the halves into thin slices and then we chop them up. At this point, you are going to need a food processor. We use a Cuisinart http://amzn.to/2im40NH If you have a bigger one, this part would go a lot faster. We find that using the pulsing option on the processor works the best. 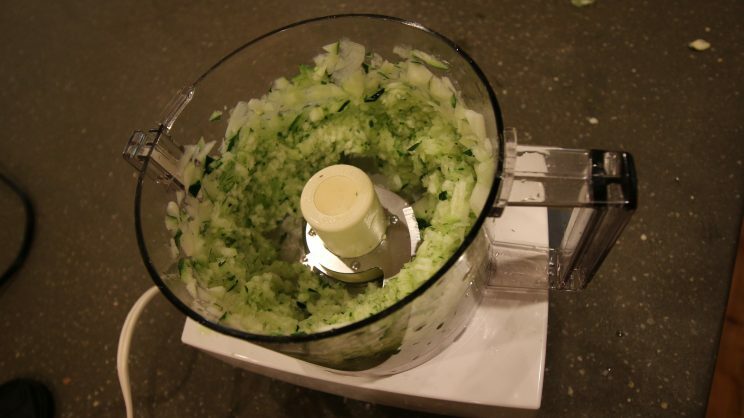 If you turn it on and leave it, it grinds up the zucchini to fine, its ends up pretty much mush. Once we are done shredding the zucchini. We put a little over 2 cups into freezer bags and mark the bags with the month and year of when we did this. We do a little over 2 cups because most of our zucchini baking recipes call for 2 cups and we find once we defrost the bags there is a lot of water that we like to drain off first before we use them. 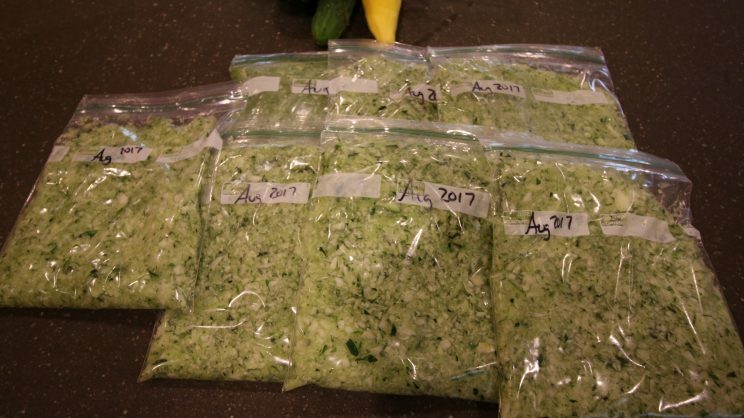 Once we are done bagging, sealing, and marking the bags of zucchini, we put them in the freezer. If you lay the bags on a flat cookie sheet or pan for a couple of hours, they will freeze flat, then you remove the pan. This makes for easier storage. Then we bring out the scraps and feed them to the chickens. The chickens turn them into eggs, which we then can use to bake our zucchini bread with! 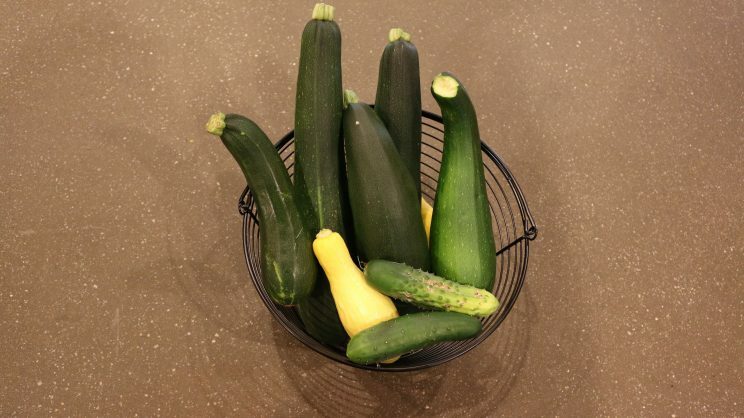 What do you do with all of your abundance of zucchini? 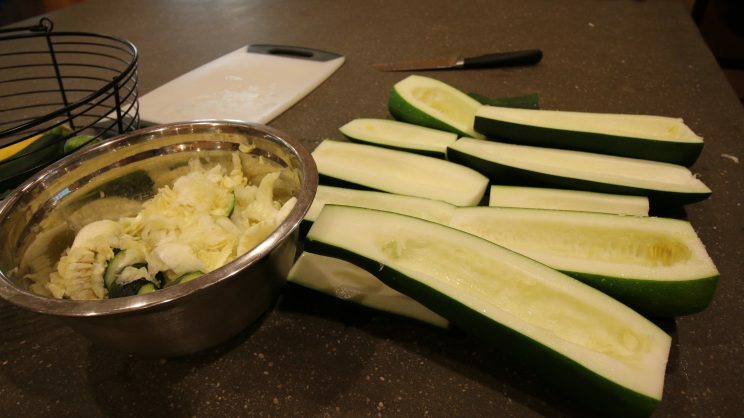 An excellent post with some great ideas when it comes to using and storing zucchini! I must admit I’ve never tried baking with zucchinis although I’ve baked with other vegetables such as carrots a bit in the past. I love zucchini in vegetable lasagne, roasted zucchini with parmesan, in stir fry and salads amongst others. Will you be adding links in the article to zucchini recipes in the Recipe section of the site at all? The website is looking great by the way! I chop my zucchini up how I like it in my soup, lay them out on a cooling rack over a cookie sheet to semi-dry them out. When they kinda rubbery feeling, I bagged them, roll the air out, label & freeze them. They thaw out a lot nicer, not mushy. This year I’m trying this method with grating zucchini for breads, muffins, pancakes…doing this method reduces 4 cups of grated zucchini to 1 cup. I’m hoping they will be just as good! 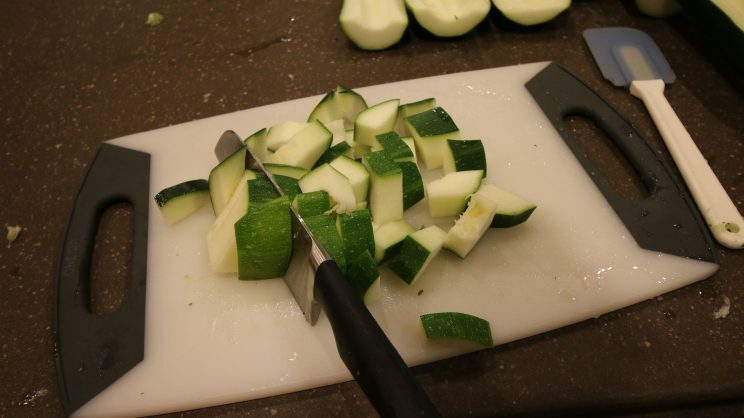 I also make zucchini chips with the large zucchini – as long as the centers are still firm. If they’re fibrous and seeded, I scoop out the center and mash the firm flesh down to freeze. That sound amazing! I bet the zucchini chips are great in soups and stews! Let us know how that works out, will you? Mine haven’t done well enough to have extra this year but I wanted to try drying shreds with ’em. Thanks! Reading Simon B, I’m going to try semi-dry zucchini noodles to freeze!! zucchinin noodles for lasagna is good too! I’ve never had bad zucchini!